Trauma and substance use share complex pathways that increase the likelihood of their co-occurrence. People may turn to substances as a way to self-regulate and cope with trauma and conversely, those who abuse substances may be more likely to experience subsequent trauma. Understanding the role of trauma in recovery and incorporating trauma-informed practices to help clients is becoming increasingly important to behavioral health service providers . This webinar will provide a deeper insight into the correlation between trauma and addiction as well as introduce viewers to innovative and alternative approaches to trauma informed treatment. 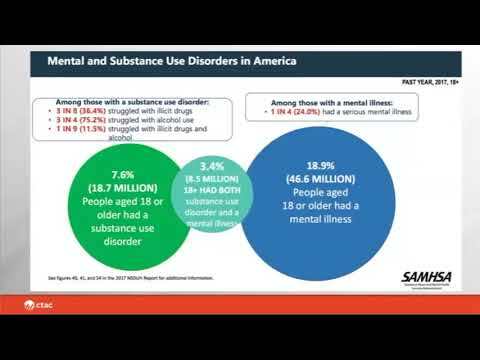 This webinar will provide a deeper insight into the correlation between trauma and addiction as well as introduce viewers to innovative and alternative approaches to trauma informed treatment.